Creon said it better than me. Ed et-al move on and forget this paranoid nonsense. Such beliefs border on the insane. Also every detailed scheme I have seen for the "propulsion" has been not-even-wrong junk engineering and cargo cult physics. That being said, of course there is evidence that saucers are real and can neutralize our weapons - that is a different matter. Just look at the 1950's reports of Ruppelt and Hill for solid reliable evidence. Also, we do have secret craft that are hidden in the UFO disinformation noise, but they do not have warp drive - wormhole capability - they are exotic conventional propulsion like the schemes discussed at the recent DARPA-NASA Orlando Hilton Star Ship Conference. We may also have captured real ET saucers with warp capability as in Colonel Corso's book "The Day After Roswell", but our reverse engineering of them is primitive at best - IF we have them - I am not saying we do. The basic principles are not understood. The closest we have come is in my Star Ship paper - again attached. There is no way do disprove that. You can explain anything that way. And any lack of hard evidence, anyone with a contrary opinion, can simply be labelled "part of the conspiracy". One might as well believe in God - an equally stupid idea which explains just as much. At least that keeps the majority of our society from saying to your face that they think you're nuts. BTW - why would such an all-powerful civilization need trillions of US dollars? Can't they easily make anything they'd otherwise want to buy by using their warp drives, matter compilers, psychic powers, etc? I'd love to wake up and smell the roses, but in this case unfortunately as soon as the eyes open, the roses vanish. I wish you were right, but I think you are not. We do not have any secret space navy with advanced propulsion like you posit. It's complete fiction. If we did DARPA & NASA would not have bothered with the 100 year Starship Project. There would be no way to keep such technology secret. It would require large numbers of people with knowledge greater than the faculties of our top universities like Cal Tech, Stanford etc. Only naive people who do not understand real physics and engineering would believe such nonsense. Is this for Stargate or something? Certainly not serious. There are no lower limits to crazy. Subject: Re: For Jessie Ventura - war with ETs? Fact or Fiction? Is Ed Komarek, who cites the words below in his book, merely being alarmist? As I said he comes from the American Power Elite. "5. Our scientists could build a ship propelled by a similar rotating and oscillating electro-magnetic field– if they knew some method to change the energy released into a nuclear-reactor directly into electric power. The problem is not solved yet. As we can see from the following article at least some ET races were not cooperating with our military even by 1968 and I believe this still continues to this day from my experiences with local contactees. It would appear there is still disagreement between we the indigenous people of earth and those ETs that are here as to who owns the earth and its environs. I suspect it is those races with advanced enough technology to maintain bases deep underground, under the oceans and from huge motherships that are outside global government’s ability to enforce jurisdiction." or the other way round? Compare their respective webpages. Nick's is quantum tantra. relieved, as if 'reality' is still continuous. Indeed, Mahatma Gargantuan Genetics Ford, indeed! navigate with non-local, shifting, polymorphous apeman consciousnesses! Thanks for sending me this. image of Mahatma Sar as he looks today?! V A L I D.
myriad existences, what if we actually did? And what if it's true?! Whooooooooooshhh!!!! in particularity as a 3D lifeform? Who-are-we to suffer such an endless fate? in a subsequently accurate manner. enormously talented real self? again! <> in any way by fixed perceptions. <> screens occur upon which forms may be projected. <> of the magi: Imagination! <> Here, you learn what it is to be human. <> shapes and systems, an organizer of chaos." in any given situation actually happens. Copyright 2011 by Brian Greene. a layer of thought, encompassing the Earth. In other words when P.W. Anderson says "More is different" it means the Born probability rule breaks down and signal nonlocality (entanglement signals without need for a classical key) is permitted. Orthodox micro-quantum theory breaks down because of macro-quantum coherent "phase rigidity." We have not quoted your papers (as well as the ones by other authors, except for the book by P. Anderson and some more recent paper on nonequilibrium TDGL equation) just because the TDGL eq. is a well established subject (also thanks to your contributions), matter of textbooks. Steve Windisch, Maurice de Gosson and 2 others like this. Jack Sarfatti I don't think it's a mystery. Laurel Oplatka ‎3145 ?ah, so dark energy is or is not a mystery ? Jack Sarfatti What didn't you understand about my sentence? Laurel Oplatka So the first sentence of this paragraph was found later to be false ? Jack Sarfatti No, that's not what I wrote. I simply gave my opinion that I think it's false. The mainstream does not think it's false. Time will tell who is correct. Me or them. Laurel Oplatka I hope you are correct ! Carol Turner The second sentence ... Theoretical attempts to account for its observed properties have foundered ... effectively negated the first Laurel. Jack Sarfatti I have solved the problem alluded to in the second sentence. Laurel Oplatka Jack, that is superb then and probably elegant. I am somewhat more optimistic now. Terry Arbegust I guess I don't understand why you can't get you paper before the proper Peer review group, that way we wouldn't be reading about Dark Energy's being a "mystery" in Physics Today. Jack, in a nutshell, can you explain why your work hasn't been peer reviewed, or has it?, and if it has what say they, the Peer group?, IF it has "who", names please agrees with your physics and who doesn't, say for example where does Max Tegmark stand, Lenny Susskind, Roger Penrose, Whitten, Sir Martin Rees, Fred Alan Wolf, Nick Herbert, Saul Paul Sirag [the hippies who saved phyiscs] to name just a few, or is the problem with the politics of academia?, Just curious. Jack Sarfatti No I can't Teresa. Jack Sarfatti There is still a lot of theoretical work to be done - new physics. Teresa Tindal-Swigert one of these days can you or someone write a dumbed down summary? Jack Sarfatti I have simply pointed out that all the data is consistent with mainstream physics that virtual particles inside the vacuum bend spacetime just like real particles outside the vacuum do. From this one concludes that dark matter real particles do not exist - this is Popper falsifiable. Mainstream physics shows that virtual bosons anti-gravitate just like dark energy. Viirtual fermion-antifermion pairs gravitate just like dark matter. Jack Sarfatti The hologram theory "explains" dark energy as back-from-the-future Hawking radiation from our future event horizon. Teresa Tindal-Swigert What conclusions can be drawn from a holographic universe and signal non-lacality? What are YOUR thoughts on "God"
Jack Sarfatti Real photon Hawking radiation is seen by an accelerating detector. A non-accelerating detector momentarily coincident with it sees virtual photon zero point vacuum fluctuations instead like in the Lamb shift and the Casimir force. Whether a particle is real or virtual depends on the motion of the detector. Teresa Tindal-Swigert so intelligent design Dr. S??? Jack Sarfatti The Brain of God for our observable piece of the multiverse sandwiched between our past and future cosmological horizons is our future horizon. This is Teilhard de Chardin's Omega Point - more accurately a 2D surrounding lightlike null geodesic surface that is also a quantum computer with 10^123 BITS - Hawking's MIND OF GOD. We are its 3D hologram images. Jack Sarfatti We are intelligently designed back from our future de Sitter dark energy event horizon. The entropy of the event horizon is its area. The dark energy density back from the future is Planck's quantum times the speed of light divided by the Planck area multiplied by the area-entropy of our future horizon at the intersection of our future light cone with it. Jack Sarfatti Now this is much more detailed than any primitive theology in our history. Stupid people demonize me with anonymous remailers - they are no better than the other terrorists. Teresa Tindal-Swigert you have quite literally defined God and done the most to merge science and spirituality. I SO hope I get to meet you some day. Pls. let me know if you make it to DC Dr. S.
Teresa Tindal-Swigert where can I find more of this in laywoman's terms Dr S? Teresa Tindal-Swigert so what is time? Jack Sarfatti Tersa - google key words. Wikipedia these days is pretty good on basics. Laurel Oplatka I am desparately trying to deeply comprehend this material. Jack, do you consider M. Talbot's "Holographic Universe' to be kindergarten stuff, or a jump off point for some of your theories or is it inextricably linked to what you are saying ? I will have to do the Wiki thing as well. Also, are you appalled by David Bohm's material, such as, "Wholeness and Implicate Order" ? I may have asked you that question previously. Thank you ! Laurel Oplatka Actually, I've changed my question, Dr S, OK, hope I am not a pariah for asking, but can the bulk of mainstream physics be truly understood without grasping the fundamentals of higher math (calculus) ?? Jack Sarfatti No, absolutely not. Jack Sarfatti I was a post-doc with Bohm. He is one of my heros. of the universe since the time the light was emitted. A collection of such measurements, over a sufficient range of distances, would yield an entire historical record of the universe’s expansion. in the 1920s, he used entire galaxies as standard candles. to match against a standard brightness. They can grow fainter with time, or brighter—by merging with other galaxies. In the 1970s, it was suggested that the brightest member of a galaxy cluster might serve as a reliable standard candle. But in the end, all proposed distant galactic candidates were too susceptible to evolutionary change." Jack Sarfatti These are retarded light signals in the past light cone of the telescope photon detectors. densities, excitation states, velocities, and so forth. so much uniformity down to this level of detail." be weighing the universe." - everything in quotes is from Perlmutter's article. Jack Sarfatti Note "weighing the universe" - key idea. Jack Sarfatti This is a form of the right triangle theorem of Pythagoras. m is the frame-invariant rest mass that is zero for a photon. Laurel Oplatka Jack, have you written a recent book, where all of the above posts would be included ? Thanks. Laurel Oplatka That is, where can we find your work all in one place that a physics major can quasi-understand ? Laurel Oplatka No I mean that someone who is NOT a physics major can grasp ? Jack Sarfatti Second, it includes dark matter that is about 23% of all the stuff in the observable universe that we see in our past light cone. In my opinion this is the residual off-pole contribution to the Feynman propagator for virtual fermion-antifermion pairs whose quantum vacuum pressure is positive and is three times bigger than its negative zero point energy density forced by Pauli's exclusion principle. This assumes spatial isotropy of the quantum vacuum. Jack Sarfatti In contrast virtual light inside the vacuum anti-gravitates and is the main component of dark energy accelerating the expansion speed of the universe's 3D space. Laurel Oplatka So the 'virtual' components of dark matter are the key, then ? (in the inset) nearby type Ia supernovae. Laurel Oplatka Dang, this is above my level of comprehension, yet I think and feel I MUST understand it. Jack Sarfatti There are no real components of dark matter. Dark matter is 100% virtual in my opinion. The mainstream pundits assume the opposite that its 100% real. This is a dramatic difference that will b e settled by experiments, though it will take a long time assuming the world financial structure does not suddenly collapse soon and the few survivors will be an a post-apocalyptic ruin - Hobbes's "state of nature" nasty and brutish. Jack Sarfatti It is above the comprehension of most humans. Laurel Oplatka a) so, dark matter which in your opinion is 100% virtual - at the present time this is neither provable nor disprovable, but hopefully in time experimentation will show that your theories are correct, hope I have this right. b) well, I do remember some of Hobbes, as I was a Philosophy Major - unfortunately not a physics/mathematics major. c) above comprehension of most humans - yes, I comprehend that statement and which some super-conscious intelligence in one form or another would visit my mind and shed some more light. d) thank you very much for the above link ! Laurel Oplatka If 'intelligence' is transcendent to 'matter', what the heck is it, really? Jack Sarfatti Wrong Laura. You are not understanding me. My idea is completely testable and is continually being tested by several groups. Simply Google "dark matter detectors" - so far all the data is on my side - they are not finding anything! If they do, then my idea will be falsified. Google "Karl Popper falsification". Similarly Michelson and Morley did not find the motion of the Earth through the mechanical aether leading to the invariance of the vacuum speed of light for all non-accelerating detectors independent of their relative motion - basis for Einstein's two theories of relativity. Jack Sarfatti Laurel you are being mystical muddying clear waters. Mind is Bohm's quantum information field. Matter is the not-so "hidden variable" - this is discussed in my Journal of Cosmology paper 2011 - see Wikipedia page on me. Jack Sarfatti ? "Intelligence" is purposeful adaptation to the environment. It need not be conscious. We are making rapid progress in AI. Simply Google "Artificial Intelligence" and read Roger Penrose's books on the subject. No need for primitive mystical New Age fuzzy thinking anymore. Laurel Oplatka OK, I thought you said in an above post that all of this will be settled by experiments which take a long time. But it IS testable, all right, but the mainstream will fight your knowledge because it is a threat to them, well fight in the form of falsification...... I will google dark matter detectors and Karl Popper, for clarification, thank you. Re: Bohm's 1st book I became confused with the mathematical formulas but somehow have always been deeply fascinated by the idea of an implicate/explicate order. Yes, I must be muddying the waters because the symptom of that is my own confusion. I will read the Wiki page on you, as I need to understand your concept of matter. Jack Sarfatti Bohm's implicate order is the information processing on both our past and future 2D cosmological horizons that are hologram screens computing us as 3D hologram images at the intersection of past and future in the sense of Yakir Aharonov's "weak measurements". The horizons need to be fractal self-similar from the tiny Planck scale 10^-33 cm to the large dark energy future horizon scale 10^28 cm. Jack Sarfatti The 2D hologram horizon computations are the implicate orders. The 3D hologram image projections from them both past and future are the explicate orders of our conscious perceptions. 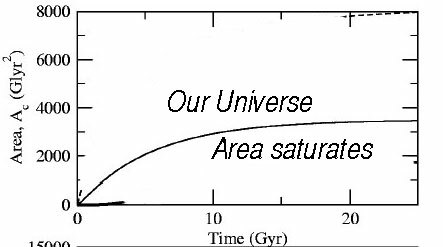 Jack Sarfatti Closely examine Fig 3 in http://supernova.lbl.gov/PhysicsTodayArticle.pdf The vertical axis is observed magnitude of the Type 1a supernovae. The horizontal axis is the cosmological redshift z a measure of how far away the source of light is from our telescope photon detector's past light cone. Google any jargon you don't understand. Draw a horizontal line - constant observed magnitude and see that the redshift z is smaller if the universe is accelerating than if it's not. Likewise, draw a vertical line at constant redshift z and see that the observed magnitude is larger for the accelerating universe than for the one that does not accelerate. That is compare the lowest solid red line with the highest solid blue line when horizontal and vertical lines intersect them. Jack Sarfatti Now if you can't understand the above exercise after trying hard then you cannot really understand what I am talking about. So test yourself. Jack Sarfatti If you can't get it, ask any smart kid over the age of maybe 12 to explain it to you. Jack Sarfatti Actually genius kids younger than 12 interested in science can explain it to you if you can find them. Laurel Oplatka OK, I will do this exercise, might take me awhile and I have to change browsers in order to download and print the pdf article. Yes I will definitely have to engage in some major googling with all of this. Thank you for providing this information. Reading what you've just posted now I believe I do understand a bit more about the implicate/explicate notions. Well, I my nephew in law is pretty young and very astute about some of these matters, I could ask him, am not sure though, as he has a form of autism. May sound cliche', but if I meditate (quiet the gabbing of my mind) I hope to expand my awareness to a degree wherein some of this may become more comprehendable. Can become vicious circle, i.e., my anxiety about NOT understanding alot of then clouds my mind, making it even more difficult to grasp the meanings ! mass densities ranging (left to right) from 0.8 rhoc up to 1.4 rhoc. In fact, for the last two curves, the expansion eventually halts and reverses into a cosmic collapse." Jack Sarfatti Very important - the greater the observed magnitude the less bright or dimmer is the source of light! Laurel Oplatka All right, thank you, yes I must read and study this article. Permutter material crucial I see. Retro-causal photons....this has to do with the nature of space/time warps ? OK, yes I must read this material. supernovae to find a given integrated expansion (redshift)." Laurel Oplatka Notion of greater observed mag, yet less bright - of course at this stage I find this very puzzling....this is going to be a big project. Laurel Oplatka Yes, I did understand about the greater the density, the more expansion slowed by gravity. Integrated expansion is the definition of redshift ? You see, I have to get all of this terminology. So the relationship of the mass density to length of expansion is key here? that the simplest cosmological model must be too simple. constant” (/ Greek Lambda) that would compete against gravitational collapse. After Hubble’s discovery of the cosmic expansion, Einstein famously rejected / as his “greatest blunder.” In later years, L came to be identified with the zero-point vacuum energy of all quantum fields. of ordinary mortals.)" More precisely / is only from virtual bosons - virtual light inside the quantum vacuum dominant term. The problem here is that naive quantum field theory without gravity gives the wrong prediction hc/Lp^4 when the observed value is in fact hc/Lp^2A. Here h is Planck's quantum of action, c is the vacuum speed of light. Lp^2 is the Planck area pixel qubit on our past and future cosmic horizon computers, A is the asymptotic area of our future cosmic horizon not our past particle horizon as explained in Tamara Davis's Ph.D. dissertation that is online - just Google. Also Google MIT Seth LLoyd's papers on black holes as computers, e.g. article in Scientific American. Jack Sarfatti virtual particles can move any direction in time even faster than light outside the light cone. Jack Sarfatti A real particle of real rest mass with negative energy moving back from the future along inside the past light cone of the source away from the source is the same as a real anti-particle with opposite charges (if any) moving to the source with positive energy inside the past light cone of the source. Jack Sarfatti That's Feynman's "theorem". Omega/ = rho//rhoc ~ 0.7 and Omegamc^2 = rhomc^2/rhoc ~ 0.3 " However, I say that the 0.7 is mostly virtual light. In contrast ~ 0.25 of the 0.3 is mostly from virtual lepton-antilepton and virtual quark-antiquark "plasma" inside the quantum vacuum. Only about .05 is from real leptons, real quarks etc and their compounds excited out of the quantum vacuum as ordinary gravitating matter in the usual classical sense. not for a chorus of complaints from the particle theorists. would predict a vacuum energy 10^120 times greater. so rapid that stars and galaxies could never have formed. within a factor of 2 of the vacuum energy density." between galaxy clusters not bound to each other. and dark-energy components of the cosmic energy budget. energy density falls like R^–3(1 + w) as the cosmos expands. so that nonrelativistic matter and dark energy now predominate. about the history of cosmic expansion, we can hope to discriminate among theories of dark energy by better determining w and its time dependence." Jack Sarfatti In my theory, both dark energy and dark matter have w = -1. However, dark energy virtual bosons have / > 0. In contrast, dark matter has / < 0 from virtual fermion-antifermion plasma. The latter clump from its self-gravity just like w = 0 Cold Dark Matter real particles would do! That's what the pundits are missing. There is a scale dependence to /. It is positive on largest scale and negative on smaller scales as in our Galactic Halo. have begun to make philosophically significant measurements. These measurements have already brought surprises. already had to revise our simplest cosmological models. sense of the current puzzles." obviously the experiment is complex. My bet is that there is no violation of special relativity. The experts will have to sort it out. 1) superluminal signals are not forbidden in special relativity so long as one is not put off by back-from-the-future retro-causality. For example Wheeler-Feynman advanced potentials that for some reason do not cancel like they do in the Cramer transaction, see also Penrose books on Libet, the data of Radin, Bierman, Bem ... and my recent proof of entanglement nonlocal signaling using non-orthogonal sender Glauber states entangled with ordinary receiver qubits (giving a talk at SLAC APS 11-11-11 - and also presented it at 100 Year StarShip Orlando DARPA-NASA meeting 10-1-11). 2) is the actual signal in OPERA superluminal, or is it a GPS error etc ? Some light on "Measurement of the neutrino velocity with the OPERA detector in the CNGS beam"
The recent publication in ArXiv of "Measurement of the neutrino velocity with the OPERA detector in the CNGS beam" has attracted many interest due to the possible theoretical or phenomenological interpretation of the results. In this paper we analyze the results and conclude that they are in agreement with "classical" theory of relativity. I agree with Jack’s statement, a low energy way to transcend interstellar distances, warp drive like in Star Trek, is definitely possible, this would also explain exterrestrial UFOs , though not why they would want to mutilate cattle and abduct women once they got here. That requires some deep thought- begining with the question of why humans do things like that. 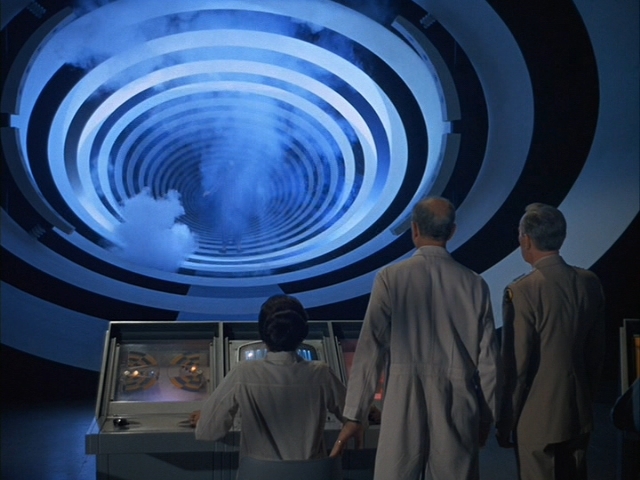 Watching it you could imagine the whole UFO field was the result of someone seeing this movie and then taking LSD. However, that is not what really happened- which means the makers of the movie seem to have been part of some “calibrated information release” –bringing the public slowly up to speed by releases of information that is itself true, but disguised as science fiction. Idea! lets make our own devices to modify spacetime geometry! If there is any truth to this et has low power warp wormhole tech. Only possibility is in my DARPA NASA Orlando 100 yr starship paper - in my opinion. From iPhone All the conventional propulsion is a joke at interstellar scale. Friends, Consider this : "even a stopped clock is right twice a day"
Under the principle of "mediocrity", the foundation of SETI, humans and their behaviors are not an abberation on the cosmos, but part of its fabric. The fact that some ETs are hostile , actually confirms mediocrity. Earth is a microcosm of the universe- everything you find here you will find in the stars. "I have met these people (the ETs) , the good news is that that they are like us, and the bad news is they are like us. If you want to know what I mean, understand i am Jewish-Ukranian and my family survived the Holocaust "
Ed, though allegedly wealthy, lives in a shack in a gator infested swamp I am told. He allegedly has no internet there has to row to the local library. As I said, he is eccentric - another Dan Smith. I don't know off-hand. Entanglement signals are NOT electromagnetic signals. Important not to confuse the two. EM signals are real photons propagating in space at finite speed of light. Entanglement signals are not any kind of real particle propagating in space. Entanglement signals are beyond space-time completely. They are signals in the robust non-fragile macro-quantum coherent Bohm qubit field that can pilot real electromagnetic fields for example. All that matters are the free choices of Alice the sender and Bob the receiver when to throw their switches to irreversibly detect the separated pieces of the entangled whole. The space-time separation and time order between these two freely-chosen detections is arbitrary, it's irrelevant. The message can be sent back from the future of the reception for example. This is consistent with Russell Targ's statements on remote viewing for example. My paper in Vol 14 Journal of Cosmology April 2011 cites Jorge Berger's work on the time-dependent Landau-Ginzburg eq and I also suggest it as a model for the mind field. The non-orthogonal coherent eigenstates of the non-Hermitian Goldstone boson destruction operator in the brain are responsible for locally decodable entanglement signals connecting different parts of the brain into a kind of hologram. The Born probability rule of micro-quantum theory is violated. There is no unitary transformation connecting an orthogonal sharp Fock number basis to the over-complete non-orthogonal Glauber coherent state basis. This is obvious because inner products are invariant under a unitary transformation. Hence the orthodox rules of QM breakdown in the regime that Freeman et-al are talking about.here is a photo of AC with Walter Freeman that I took at Castiglioncello 2008 where I mentioned this general idea in my talk and informally. Also I think that's Vitiello behind Penrose at that same meeting? Yes, the first option you describe below is what my DARPA NASA Orlando paper was all about in its first part. I am giving a paper 11-11-11 at SLAC APS on the second part entanglement signals with nonorthogonal coherent sender states entangled with a single receiver qubit. This is nonunitary post-quantum theory. Well, what I have in mind is to point out that either you can propose to "soften" spacetime by arguing that the coupling constant should be taken as a coupling coefficient and that two modifications are possible: one, that c is the medium velocity rather than vacuum velocity; and two, that negative energy can be achieved using metamaterials (and explaining why the negativity cannot be written off as a difference in the group and phase velocities), as you have. Or you can look for enormous exotic mass in the bare properties of normal matter, and show how it can be exposed, my approach. What I am proposing is that you write a little essay -- for dummies -- explaining your "softening" approach. If you want to include things like "mass shell" and/or "Feynman propagators", that engineers are likely to be unfamiliar with, explain the terminology. Better yet, avoid jargon unless it is really essential. Assume that you are explaining your ideas to someone, an intelligent adult, who knows little or no physics. Have Millis and Davis been selected to edit the papers from the conference? My impression has been that all of the papers were to be published in the JBIPS. It seems to me unlikely that the organizers would turn over editorial control to Millis and Davis. I think they are the referees for that issue. I may be mistaken. so far all the Pundits think B is constant and then C is way too big to make a wormhole and a warp drive. However with metamaterials it may be possible to make a very big B that enables us to get the same A for a much smaller C.
also when B is negative we get anti-gravity. Well, to physicists, perhaps so. But for aerospace engineers, even those with more physics background than usual, perhaps not. And while the material on entanglement signaling is interesting, it's not directly germane to the issue of making wormholes and warp drives. I can present your basic argument, but I'd prefer to have you do so. But it should be addressed to the target audience. In my experience at least, they don't have a graduate command of quantum field theory. Besides, you are already having the paper published, aren't you? I think my paper is pretty clear. We discuss the emergence of relativistic effects in the Machian universe with a global preferred frame and use thermodynamic considerations to clarify the origin of gravity as an entropic force and the origin of dark energy/cosmic acceleration as related to the Hawking-Unruh temperature at the universe's horizon. The issue is WHEN is the horizon? It can't be our past particle horizon. It must be our future event horizon to explain the dark energy as advanced Wheeler-Feynman Hawking radiation. which is the correct number. Our future event-horizon is the Wheeler-Feynman total absorber of last resort of all retarded photons inside the future event horizon. This explains ARROW OF TIME if all interior matter fields are 3D hologram images back from our future 2D surrounding surface future event horizon whose time-dependent area is the total thermodynamic entropy of the interior bulk. This pixelated 2D surface is a fractal cosmic computer - we are its computations. Crazy idea for sure.